The British Isles is a perfect area for a cruise and you can get some great UK cruises from P&O Cruises. The beautiful coastline, variety of cities, and exciting sightseeing opportunities make cruises to this area a delight. There are a great variety of cruises that cover the British Isles. Check them out and find the cruise that covers the ports that you are most interested in visiting. One of these cruises is the 13 night Round Britain cruise of the British Isles on the ship the Arcadia. The ship stops are quite a few ports, but only a few will be discussed for this article. Scotland is a beautiful country with a fascinating history. This cruise ships stops at two cities in Scotland, but I am going to focus on South Queensferry, Scotland. This city is located on the southern edge of Edinburgh and so the main attraction of this port is the visit to Edinburgh, Scotland. 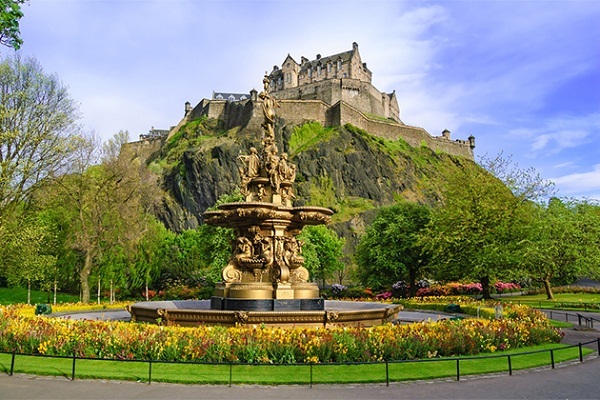 Edinburgh is an enchanting city and considered one of Europe’s most beautiful cities. You could do the port on your own from a central square which gives you a chance to really explore this walking city, but you could also take a tour. 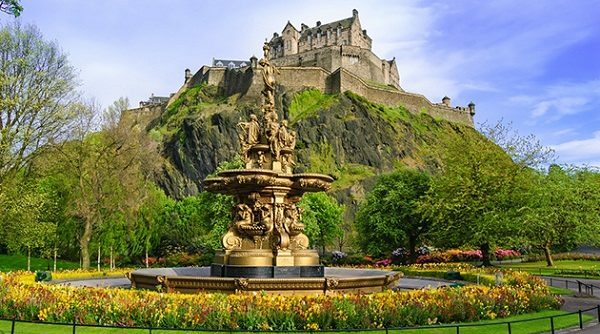 One of the popular tours is a visit to the historic Edinburgh Castle which sits high on a rocky hill overlooking the city. There you can see the magnificent crown jewels. Enjoy this historic, interesting, and beautiful city. The ship stops at two ports in Ireland, but this article is going to focus on Cork, Ireland. This city, Ireland’s third largest city, started as an island and now has part of the city on each side of the River Lee. This is a seaport on the south of Ireland and is a city full of hills. Cork is a wonderful city to explore on foot giving you the opportunity to meet some of the interesting, talkative, and friendly people of Ireland. While in Cork, you might want to visit Spike Island which has an old prison and fort. After a pleasant boat ride to the island, you get a chance to learn about Irish history. Cork is a beautiful and interesting port to visit. The port in Liverpool, England is a step back in musical history, but it is also a UNESCO World Heritage Site because of the beautiful waterfront with its interesting mercantile of the city and docks. You can just walk the waterfront and see the sights, take a ferry, or go the interesting National Waterways Museum. Liverpool is known for the music that came out of this city. In fact, it is considered the World Capital of Pop. The city is mostly known for the Beatles. If you are a Beatles fan, you will want to visit The Beatles Story at Albert Dock. It is a brilliant tour. There is so much to see and do in the British Isles. A cruise of the British Isles gives you a chance to explore some of it. At the end, you will want to see more and will come back.